Collector Quality! 40th Anniversary Edition! Only 4k Miles from New! 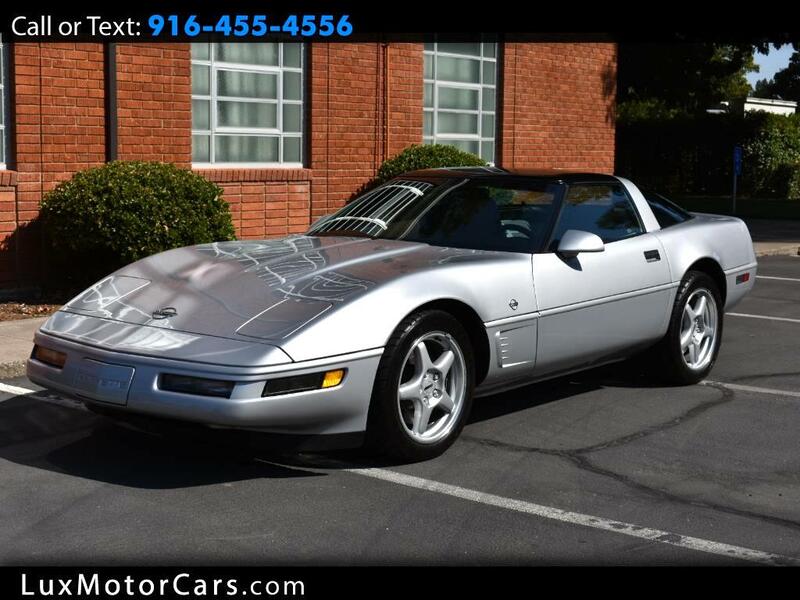 Offered for sale is a mint condition 1996 Chevrolet Corvette Collector’s Edition. With under 5,000 miles the car is in collector quality condition. It is absolutely perfect inside and out, body, paint, interior, and mechanicals are all flawless. The Special Edition Corvette included a special Sebring Silver paint, 5-spoke matching alloy wheels with special “Collector Edition” wheel cap centers, sport seats accentuated with “Collector Edition” embroidery, black brake calipers with “Corvette” lettering, and a special trim package featuring chrome “Collector Edition” badges. This particular example came equipped from the factory with the following options: Preferred Equipment Group, Bronze Removable Roof Panel, AM/FM Radio, A/C. Anti-Lock Brakes, Cassette, CD Player, Cruise Control, Dual Front Airbags, Performance Axle Ratio 3.07, Power Door Locks, Power Steering, Power Windows, Premium Sound System, Premium Wheels, Remote Keyless Entry, Removable Top, Sunroof, Tilt Wheel, Traction Control, and Collector’s Edition Package (Z15-01).